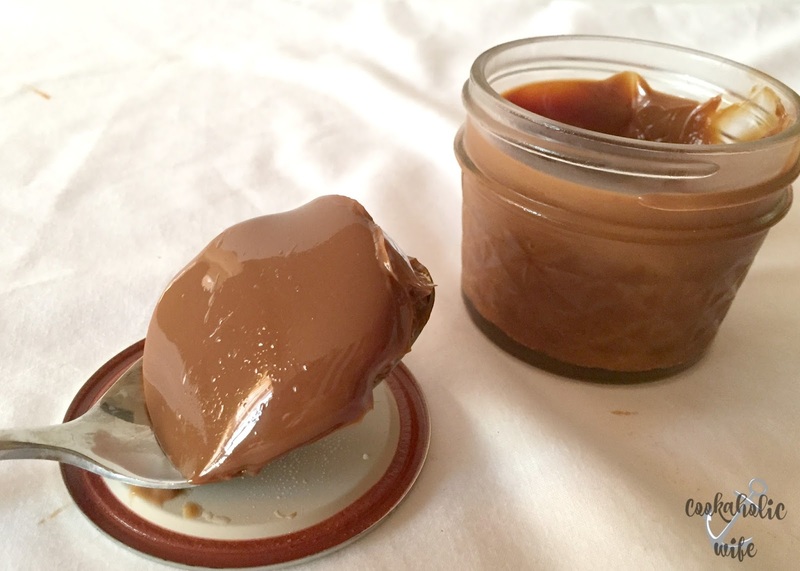 If you are a fan of caramel, you absolutely must try dulce de leche. It’s a thicker, sweeter version of caramel that almost but not really adapts the chewy texture you get from eating a soft caramel candy. There are a ton of recipes that call for using dulce de leche but it isn’t always easy to find in the stores. Even at Wegman’s where I can typically find absolutely everything I need and could ever think of, I can only find dulce de leche around the holidays. But this caramel sauce is way too good to limit yourself to only a few months out of the year. Luckily, you can make it at home with only some very, very basic ingredients and a bit of patience. Never buy dulce de leche from the store again! 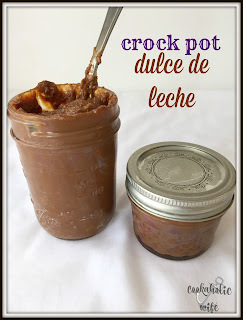 Really using just one ingredient and a slow cooker, you can make your own in a day! 1. 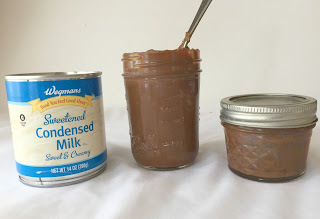 Divide both cans of sweetened condensed milk into the three mason jars. 2. Wipe the seal of any drips then add lids to mason jars. 3. Place in the crock pot and add enough water so the lids are covered by at least ½ inch of water. 5. Turn off the crock pot and allow to sit for 30 minutes. 6. Remove from the crock pot and place on the counter to cool to room temperature. Cooled dulce de leche can be stored in the refrigerator for up to 4 weeks. Good luck keeping this in your fridge for four weeks. I guarantee you that you’ll find new things to put this sauce on just because it’s so tasty you won’t be able to stop eating it. 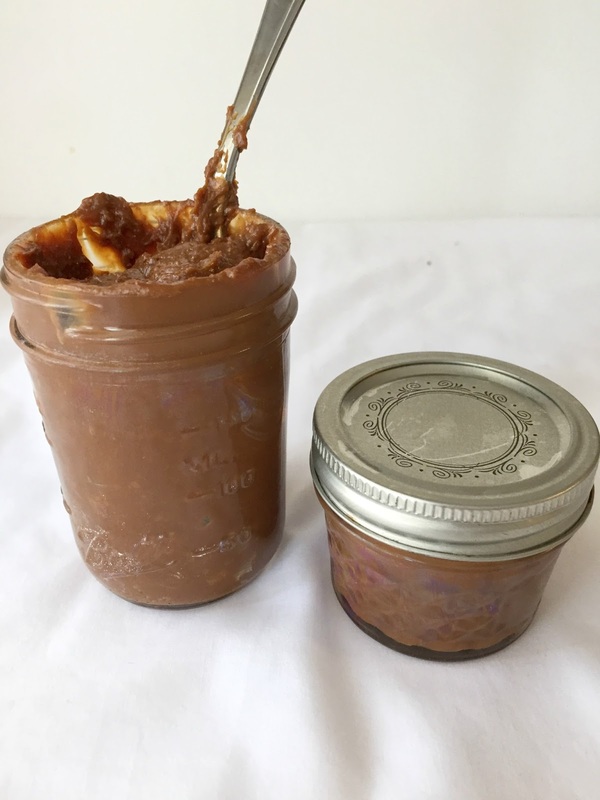 Later today I’ll be sharing a cookie sandwich recipe with you that I made for #Choctoberfest that includes this super amazing sauce!